Spain’s largest airport, Adolfo Suárez Madrid-Barajas, sits outside its capital, Madrid. However, many travelers also enter the country through Barcelona-El Prat airport outside Barcelona. Cost of travel in Spain typically costs $40 per day, though this estimate varies wildly depending on region and activities. Temperatures in Spain fluctuate between 5 and 27˚C (40-85°F) depending on the season, though most tourists come during the summer months when temperatures are in the mid 20s (70-80˚F). Classic Spanish souvenirs include copies of flamenco albums, olive oil, and wine. Since the days of the Grand Tour, Spain has earned a reputation as one of the classic Western European tourist destinations. The country seems to have everything a tourist could want: fascinating culture, gorgeous beaches and landscapes, thriving nightlife, friendly locals, and, of course, one of the most famous wine regions in the world. With all this, it’s hardly surprising that Spain has developed a vibrant tourist industry with numerous upscale hotels, hostels, and other tourist amenities found in nearly every city. Though a handful of civilizations, such as the Iberian, Celtic, and Basque peoples, held control over Spain during its early history, its most famous early rulers were undoubtedly the Romans. It took the Romans nearly 200 years to conquer the country, though they held control over the region for three times that length. To this day Roman ruins and archeological sites can be found throughout the country. Towards the end of Roman rule, groups like the Visigoths and Suebi began to take control over the region. However, it would be the Moors, an Islamic civilization from North Africa, that ruled Spain for most of the Middle Ages. The Moorish people had a profound effect on Spain, and many of the characteristics that define Spanish culture today where established during this period. However, Christian forces soon began a bloody conflict called the Reconquista which lasted centuries. This movement, along with the subsequent Spanish Inquisition, saw countless Muslims, Jews, and other non-Christians killed or forced to relocate. While this period of Spain’s history is quite tragic, it allowed for a centralized Christian monarchy to take control. This government revitalized the country and heavily colonized the Americas, especially Central and South America. Conflict with other European powers, especially France, ultimately culminated in the Spanish Civil War and subsequent dictatorship under General Franco during the mid-20th century. In 1963, a democracy was established, which persists today. Spain’s capital, Madrid, is one of the country’s most visited destinations, for good reason. This large city is well known for its historical significance, nightlife, and tolerance for LGBT communities. Most of the city’s more famous historical sites are in Barrio de las Letras and Puerto del Sol. However, the neighbourhoods of Chueca, Gran Via, and La Latina are considered some of the more active neighbourhoods today. 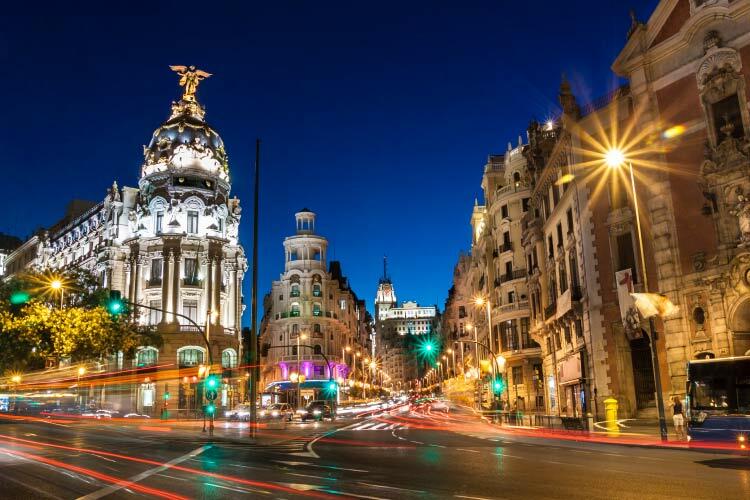 Madrid has the largest number of bars per square mile of any European city, and participating in the nightlife is a must if you want to get the full Madrid experience. However, not all of travel in Madrid is about partying. The famous Museum Triangle contains three of the largest art museums in the world, which are actually free to enter for a few hours each day. 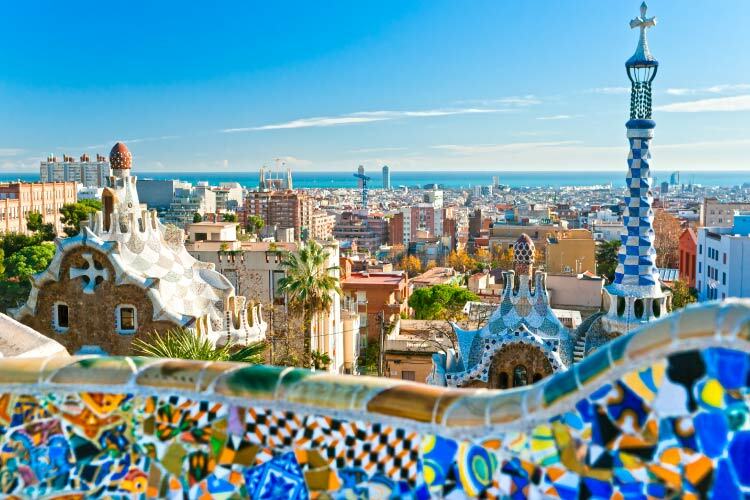 The coastal city of Barcelona is certainly worth a visit, if only for its beautiful (if crowded) Mediterranean beaches. However, the city has lots more to offer. Ciutat Vella is Barcelona’s oldest district and contains most of its more famous historic sites, including the Basilica of Santa Maria del Mar and La Ribera auditorium. Ciutat Vella also contains a fantastic Picasso museum. Another popular district among travelers is Sants-Montjuïc. Not only does this district bring together a number of museums, galleries, and world class restaurants, it also holds most of the city’s festivals and community events. 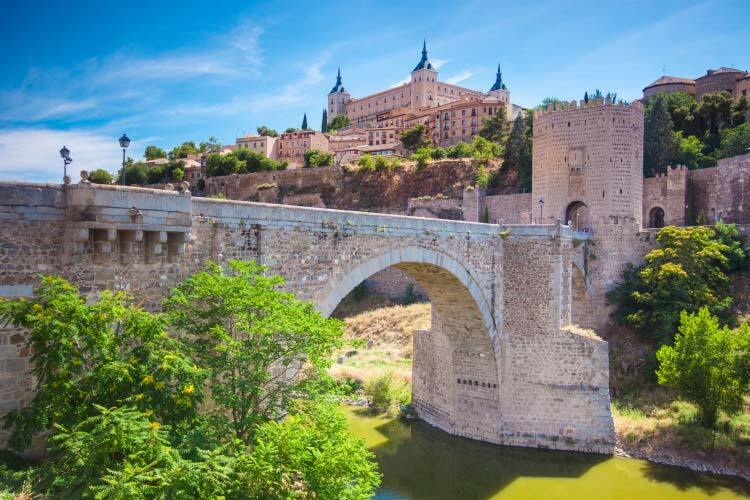 As the central point for the ancient Visigoth culture, Toledo has a distinct atmosphere quite different from the rest of Spain. Toledo is recognized for its maze of cobbled streets, with a number of charming cafes and boutique tucked away in its alleys. Toledo’s cathedral sits on a hill overlooking the city and is a must-see for any traveler. Additionally, Toledo is well known for its high quality swordsmiths. Taking a trip back through time and watching a blacksmith handcrafting a precision sword in Toledo is one of the most interesting experiences the city has to offer. 1. After meandering down the river in Bilbao and shopping street side, spend some time in Bilbao’s fabulous Doña Casilda Iturrizar Park, which sits next to the Fine Arts Museum. Be sure to take a day trip out to Vizcaya Bridge, the world’s first metal transportation bridge and a UNESCO world heritage site. 2. Relax on the beach in Barcelona, preferably with a glass of refreshing Sangria in-hand. Then, head to Sants-Montjuïc to see the city’s museums and art galleries. If you’re lucky, there may even be a festival going on. At night, participate in Barcelona’s infamous nightlife. 3. In Valencia, be certain to check out the City of Arts and Science, a fascinating tourist complex with art and science museums, an aquarium, planetarium, and tons more. Then, head to Mercat Central and shop in the street markets. 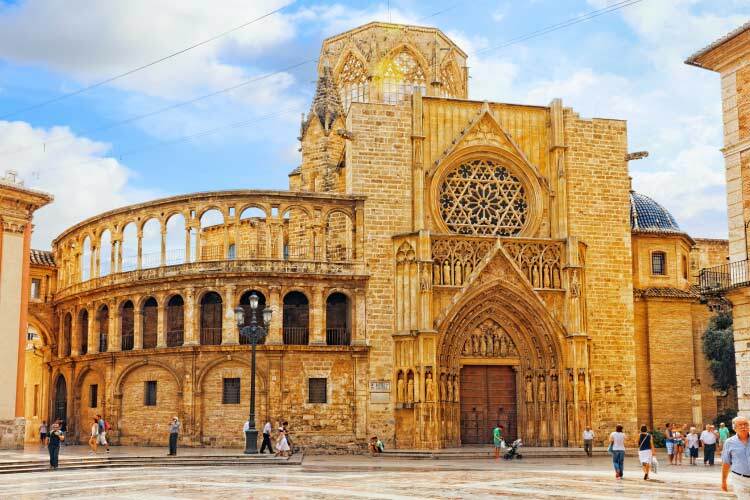 Historically minded travelers might be interested in Valencia Cathedral, which features architectural details from three different historical periods. 4. 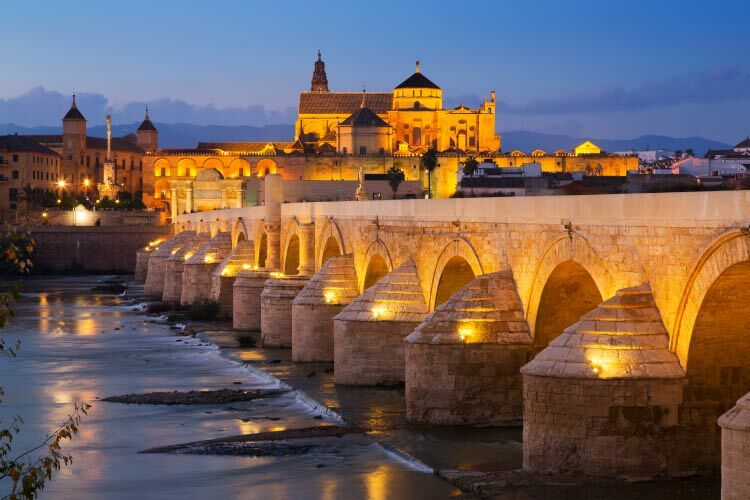 Cordoba’s most popular tourist site is the Mezquita, a beautiful cathedral (that was once a mosque) which is renowned for its stunning architecture. Cordoba’s Old City also contains dozens of historical sites, and in fact the entire Old City has been declared a UNESCO world heritage site. 5. Seville’s aptly named Cathedral of Seville is considered the world’s largest church by volume, and contains the remains of Christopher Columbus. The city also contains a stunning palace called Real Alcázar. At night, attend a flamenco concert and drink some manzanilla wine. 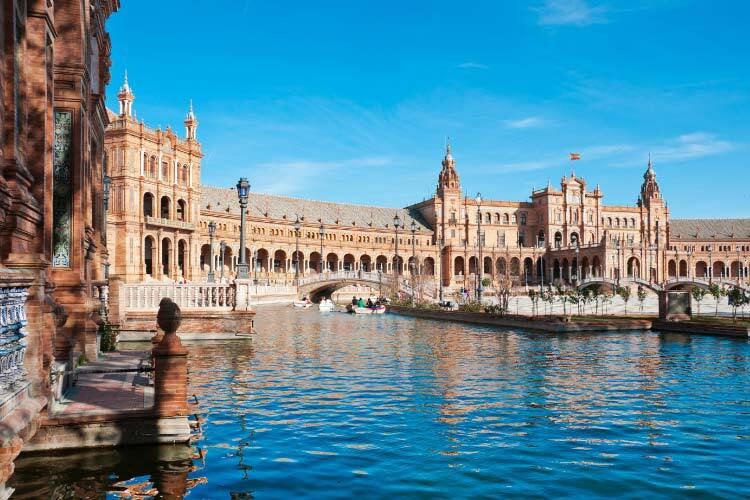 Travelers with a strong stomach can also attend one of Seville’s infamous bull fights. 6. Head to Madrid’s Museum Triangle to get an in depth look into the best of Spanish art. Afterwards, explore Puerta del Sol, one of the most lovely city squares in all of Spain. Then, explore the colourful shops and cafes of Chueca. For those so inclined, Madrid has a crazy nightlife scene that’s definitely worth participating in. 7. The gorgeous cobblestone alleys of Toledo are perfect to get lost in. Make your way up the hill to see the Cathedral and several of Toledo’s other historic sites, in addition to a fantastic view of the city. Just outside of Toledo sits Alcazar, a famous historic building that dates back to the times of the Roman.